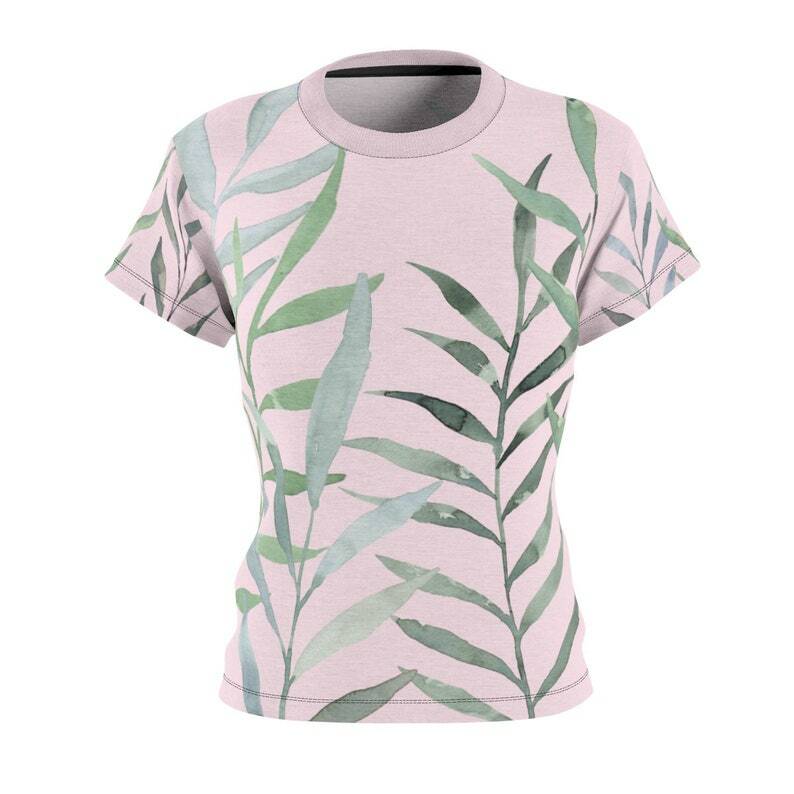 This is the Eucalyptus Sprig Blush Tee. It is a soft and comfortable feminine cut classic tee that provides a fashionably casual, yet trendy look. 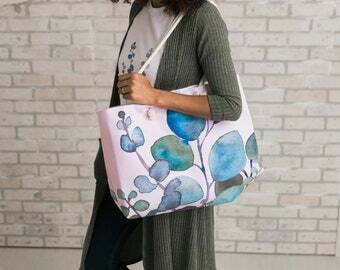 It is adorned with lovely sprays of eucalyptus watercolor paintings in cool greens with a blush pink background. It will keep you comfortable and confident with its unique design, and is sure to be yournew favorite shirt. Pair it with a chambray shirt and black leggings for a cute and trendy, yet comfortable and casual look. -You will receive one shirt in the size of your choosing, don't forget to choose the size before checking out.